As discussed in the Foreword by Michael Conlon QC: ‘VAT and the City is the invaluable vade-mecum for the practitioner and in-house expert alike’. 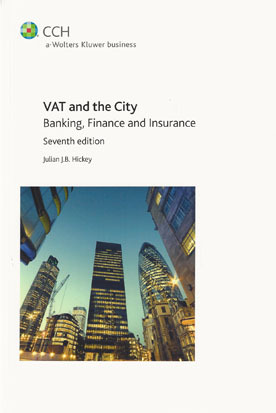 Now in its 7th edition, VAT & The City provides essential expert guidance into how VAT affects transactions in the financial sector including banking, finance, securities, investment, insurance and commodities and help on approaching the handling of VAT affairs. The title is aimed at anyone who advises client on VAT in these sectors as well as appealing to companies operating within these sectors themselves. Since the last edition, much has happened in VAT and financial services and this new edition will ensure the latest information is provided in a practical way. The book is also packed with sound tax planning advice, with full reference to HMRC practice and the evolving domestic and European case law.